Home / Blog /eCommerce/AMP on Magento: Is It Worth Your Attention? 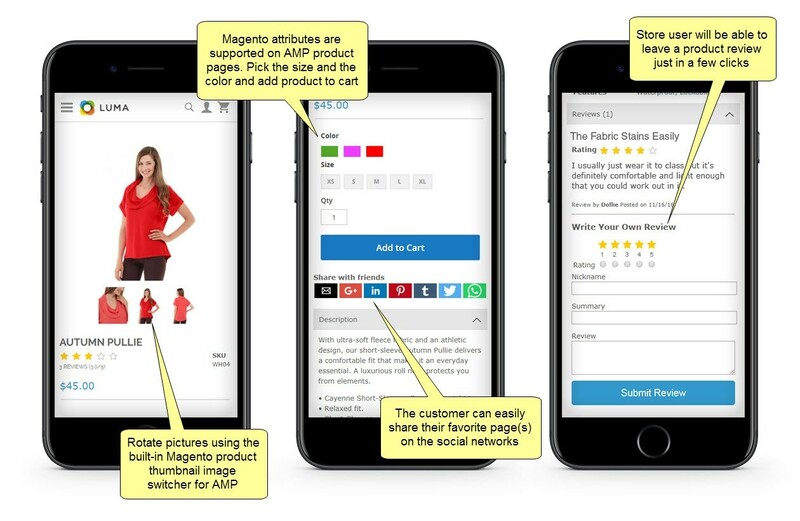 AMP on Magento: Is It Worth Your Attention? No business owner of a Magento online shop can underestimate the benefit of having their website content load consistently fast on all mobile devices. Yet, with variants like internet speed and different screen sizes, achieving the desired results on mobile can be a challenging task. According to a study from DoubleClick by Google, around 50% of mobile users decide to abandon the website if it takes more than 3 seconds to load. In other words, customers hate the irritating slowness of a site, especially when they are browsing the internet and shopping online. Accelerated Mobile Pages (AMP) is a great answer to the problem when it comes to improving user experience and overall business success. 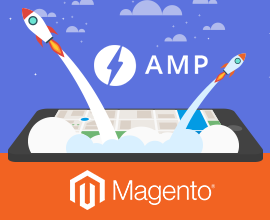 Let’s look at the main aspects of implementing AMP on Magento websites and discover how an application can help you drive better conversion rates. Google admits that AMP is one of its main ranking factors, so it not only boosts mobile speed but increases your website in Google search results. AMP supports various online ad networks. It checks the ad banners for security and loads them much faster than regular pages via special components. When your AMP pages fit all requirements and pass the validation tests, they will be indexed by Googlebot and added to the Google CDN. AMP pages are automatically added to the Google AMP Cache, which makes your website load instantly even when the internet connection is poor. What Are the Restrictions in AMP-Code? Regarding the Magento platform, it is suggested to check a product description and other text attributes since they can include the restricted characters in Magento. As you can see, implementation of AMP on Magento can be a tricky task. So, in order to integrate Magento AMP pages the right way, it is essential to avoid missing any details. 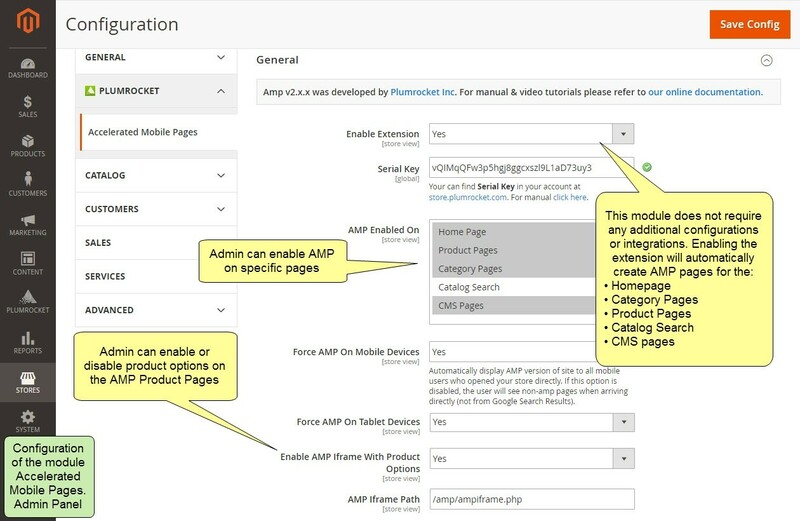 The Plumrocket Magento AMP extension can simplify the process of AMP implementation to help skip the worries of writing AMP-code properly and ensure Google validation. 10. Use embedded YouTube videos and item quantity input to expand your online shop features. 11. Work with a variety of widgets like the following: AMP Category Product Carousel, AMP Recently Viewed Products, AMP Slider, AMP Static Banner, AMP Video. By and large, implementing AMP on Magento is not a quick project, yet it can be simplified with Plumrocket Magento AMP Pages extension. 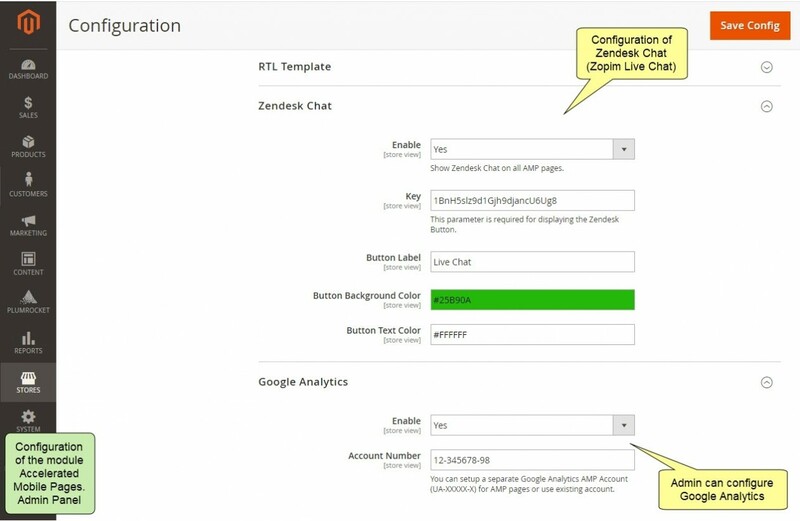 In this way, you can test the plugin in action by running a free demo or read the documentation for more information. And last but not least, with constant technology innovations, it is necessary to mention the tandem of AMP and PWA (Progressive Web Application). Both technologies can greatly increase mobile friendliness and improve user experience. Roughly speaking, PWA is considered a hybrid of regular web pages (or websites) and a mobile application. It is built using web technologies, but it looks and behaves like a real mobile application. 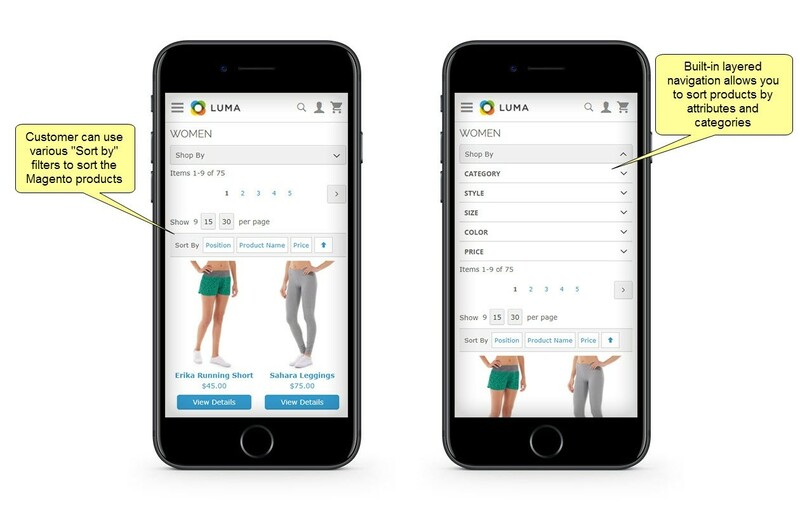 In addition, Magento released a new tool for working with PWA – Magento PWA Studio which can help users create online shops in PWA format. You can learn more information on AMP and PWA here. Magento AMP is relatively new technology, which will continue to evolve and expand over the years, as well as cover as many website functionalities as possible. So, if you want to bring your website performance to the next level, improve customer experience, and boost your sales, implementing Magento AMP pages is a great opportunity to make your online store flourish. How Magento Speed Influences Conversion Rates?